To save her life, an heiress is forced to become a mail order bride. 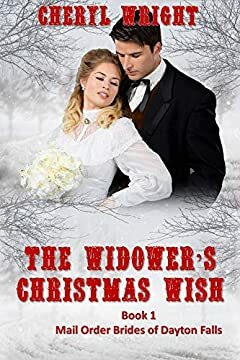 In her wildest dreams Charlotte Montgomery never thought she’d ever become a mail order bride. On discovering her parents have arranged for her to marry an elderly rich man who has already disposed of two wives, she has no option but to flee for her life. Sheriff Angus Doyle needs a mother for his daughter after his sister can no longer care for her. Desperation has him sending for a mail order bride. Is the undeniable attraction between the two of them, when they first meet, enough to overcome their secrets? He has a child he hasn’t mentioned, and she is a runaway?